Great read. I have posted a couple of links and copies of your articles on Ibizaspotlight forum topics as they are relevant to a couple of posts, hope you are ok with this? Also encouraged those that like them to follow your blog. Hola Peter. Loved reading your blog and the history of how the West Ends story began ! Fascinating and how things change so fast !! I loved working out there in the 90’s and have great memories of many a daytime ES P party. Working alongside you made repping so enjoyable! Thank you for keepin the Ibiza San An Flame a burnin. I will be over soon to say Hola. Am back ! And Shaggy. The Maninssanan living the dream. Top Work ! I love a bit of nostalgia and that really has wet my lips to want to get over for a visit, might have to get Lazzer on a boys trip. Brilliant blog as usual. Loved reading the accuracy of this article. I wanted to post regarding the West End but was unsure if my recollection was accurate. Had forgotten about Nito’s and there was also Extasis which was around the Pisces Park. Ku was the only proper nightclub that I was aware of. Capones was always the trendy place to be along with The Chicago where Mickey and George played great music mixtapes in the packed little bar. Remember being taken by car to The Heartbreak Hotel out in the wilds somewhere and Robert Plant (the owner) was there. Someone recently told me that this was now Annabelle’s near to the Barcelo Pueblo hotel, not sure if that’s correct. I too remember that in the late 70s early 80s the West End was much more cosmopolitan however there was a sad spate in the 80s of (Scandinavian) tourists falling/jumping from balconies then too – perhaps it happens every season! There was the odd drug seller or two back then but no ‘ looky lookies’ forcing their sunglasses on you. Reps hosted party games during the pub crawls. Though I have never been on an 18-30s package! you could hear the hilarity as you passed. 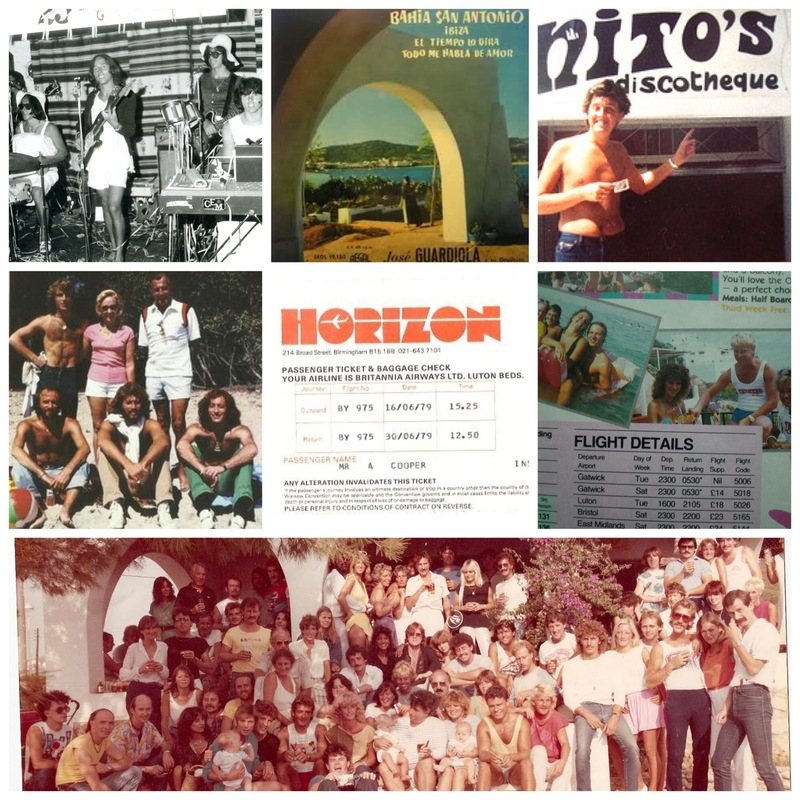 If you were lucky you would get handed free entry passes to the discos and flyers for the bars ….we knew we were getting ‘past it’ when we stopped getting fliers and walked by the fountains with babes in arms. It ‘felt’ like’ the PRs were quite discerning back then but probably only an egotistic illusion! Was still happy in the late 80s to walk through the West End in the evening with children in pushchairs and even pop into a bar or two on the outskirts. In the 90s I conceded that I needed to move my family of youngsters ’round the bay’ to stay (away from the West End) where they could ride bulls and the likes winning mum and dad bottles and bottles of ‘champagne’ which we could happily take home, spread throughout our suitcases (little or no weight restrictions in those days if I remember correctly). The 90s was when I felt the West End went a little bit downhill, losing the cosmopolitan feel and possibly its reputation of being home to ‘the beautiful people’. In saying that I got used to it and in the ‘noughties’ had some fantastic holidays with my younger friends which involved partying non-stop at some of the West End bars and managed to sidestep and in general overlook the piles of vomit and drunks rolling around the streets. More recently and nearing my 60s I have mainly avoided the West End at night for the last few years . Oh if only I could find a practical solution, or even a suggestion to get it back to it’s former glory! It is a complex situation and sadly I feel partly due to the current British culture. So I think it’s bye bye West End at least until my sons stop frequenting it. I am told that it’s still a fun party atmosphere ‘just like Magaluf’ (eeeek heaven forbid!) but that PRs and ‘looky lookies’ are very off-putting with their harassment and that all manner of drugs are easily available on request in the bars and the VIP type establishments Hopefully by the time I reach my seventies it will have been cleaned up and I can frequent the West End once more as a glamorous granny ! 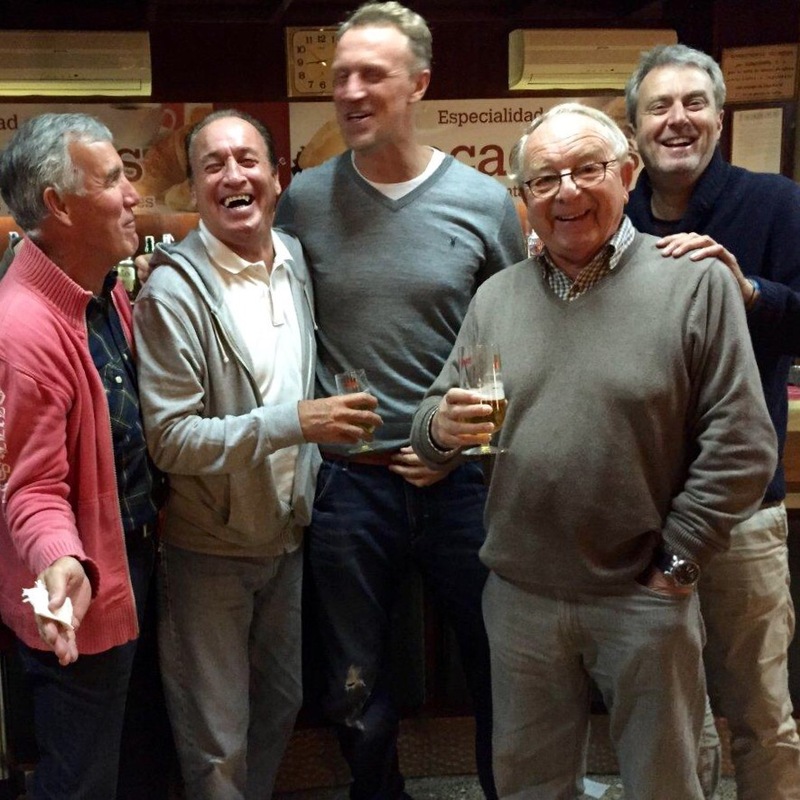 After all Cafe Mambo celebrate their oldest customer’s annual visit and if 60 is the new 40……… or…. is the West End really ‘just for the young folks’? Next Next post: Is Ibiza the new Benidorm?